World Travel Market London - the leading global event for the travel industry - will host a session of senior executives to discuss the implications of Brexit on the UK inbound and outbound travel in a high-profile panel session at this year's event. The World Travel Leaders session "Brexit - How Will It Change UK Travel - Inbound and Outbound?" takes place in the WTM Inspire Theatre on Monday 7 November from 4pm. 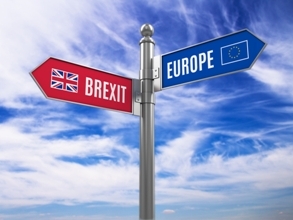 Brexit has been described as the most significant change in the UK for more than 70 years, and the UK travel sector has been identified as one of the main industries to be affected. Chris Mottershead, managing director for Thomas Cook UK & Ireland, brings a wealth of global experience to the debate from his nearly 25 years in the travel business. In the 1990s, as CEO of Airtours' North American Leisure Group, he oversaw businesses turning over $1.8 billion a year. Since then he has worked for TUI in the UK and Russia and a travel-focussed investment firm. He joined Thomas Cook in 2015. In terms of the Brexit debate, Mottershead is seeing first hand at Thomas Cook how Brexit is affecting its core outbound tour operating business. JacTravel CEO Terry Williams will also sit on the panel and share his views of the impact of Brexit. JacTravel is a £360m business, working with more than 140,000 hotel partners. Williamson has wealth of travel industry experience having previously held the positions of CEO of Tour Operations for Monarch Travel Group and Managing Director of UK Tour Operations for the Thomas Cook Group. For inbound, the session will call on the experience of Patrick Richards, chief commercial officer for combined buying and distribution at Cox & Kings, the Indian travel group with operations in 25 countries. His thirty years in the business includes seven years as chairman of the European Tour Operators Association (ETOA), the trade body for the European inbound sector. He left ETOA in 2014 but remains a board director, giving him insight into how Brexit is not only impacting organisations such as Visit Britain but also changing the overall European travel landscape. Elsewhere, the airline industry is more exposed than most to economic fluctuations, and Brexit has led to a degree of global uncertainty. Andrew Swaffield is chief executive officer for Monarch Group, a UK independent airline group which serves 40 destinations from five UK airports. His analysis of Brexit's impact on UK outbound will be from the global airline industry's perspective, as well as any specific changes he foresees to how a UK-based international airline will operate in a post-Brexit regulatory environment. Similarly, inbound will also be affected by potential changes in the relationship between the UK and the world's other aviation authorities. The session will also include market analysis and predictions from Euromonitor International. The research group will look at visitor numbers for arrivals in to and out of UK before and after Brexit and present their forecasts for the future. The World Travel Leaders Awards follows the panel discussion. WTM's official media partners from around the world have a chance to congratulate and recognise significant companies and individuals from their region or sector. WTM London, Senior Director, Simon Press said: "No one really knows what the long-term impact of Brexit on the UK travel industry will be. While British people will continue to travel overseas and the UK remains an attractive inbound destination, there will be changes in the established wisdom. "We have assembled a panel which knows the UK travel industry inside out. Their insight will help attendees decide where the dangers and opportunities lie over the short, medium and long term." The World Travel Leaders session "Brexit - How Will It Change UK Travel - Inbound and Outbound?" - organised by GisbyEast - takes place in the WTM Inspire Theatre on Monday 7 November from 4pm.